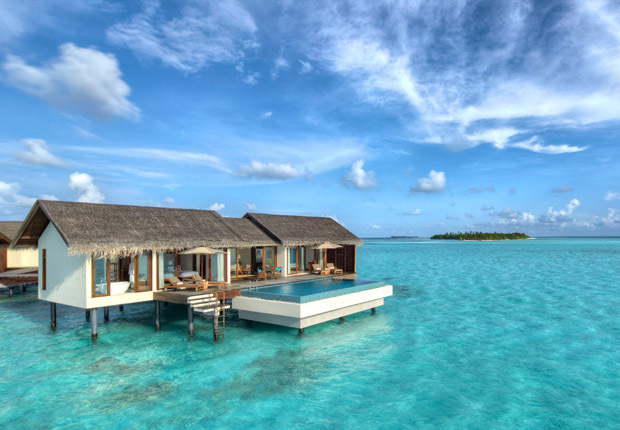 The Residence Maldives is nestled on Falhumaafushi, a pristine island in the Gaafu Alifu Atoll, believed to be one of the largest atolls in the world. This secluded retreat offers unparalleled beauty with 94 villas along the beach front or over-water. Its elegant interiors blend seamlessly with its traditional Maldivian architecture. Explore a vibrant marine sanctuary at your doorstep or be rejuvenated at The Spa by Clarins, the only one in the entire Maldives archipelago.